Since I started this blog I’ve made lots of new connections in the drinks and bar business, and via social media. But I’ve never been to a trade show, at least not as a blogger. So when I spotted this event come up that was open to the public and I was in Melbourne always for work it was a no brainer. My plan was to meet some of the people I’ve connected with online but never met, learn a few things and experience some quality booze along the way, but really I had an open mind as to what to expect. The ticket was only about $25.00 for the Sunday which was open to the public, and there was an industry day on the Monday with doors opening at 11am. 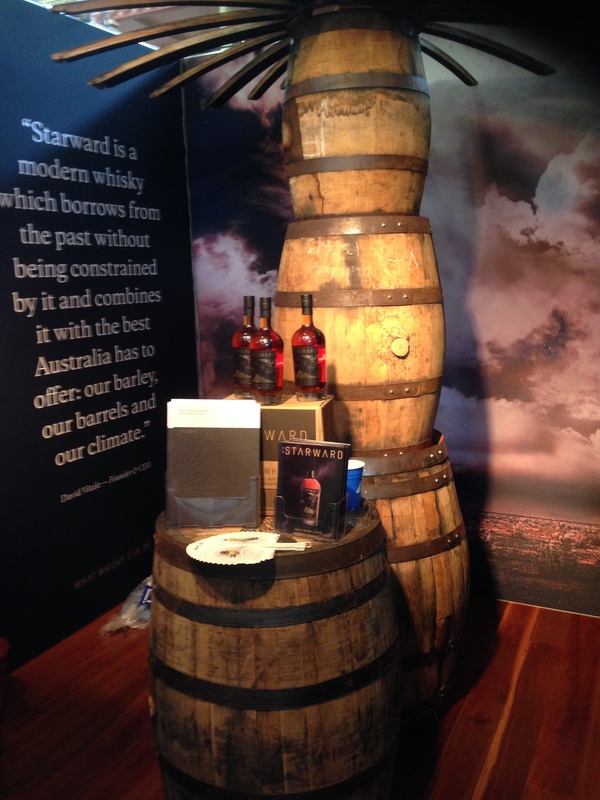 There were some 100 companies or brands represented ranging from large distributors and product lines like Campari, Bundaberg Rum and Glenlivet Whisky, to boutique ranges like the Australian Four Pillars Gin, Melbourne Gin Company, and several of the Tasmanian single malt distillers such as Lark and Sullivans Cove. Plus bar supplies, tonic waters beer, and wine companies. So really something for everyone. There was also a range of master classes to sit in on, and all laid out in the spectacular Royal Exhibition Hall in Carlton Gardens. There was also several satellite events at bars around town afterwards, so if you’re in the trade particularly you can make the most of the networking opportunities on offer. Not forgetting that this in an industry event that the public can experience, the people I met were universally hospitable and open to talking. It wasn’t about trying to flog you something- which I appreciated. It was something like 40+C and blowing a gale straight out of Hades, making it dangerous to be outside, and this affected the plans to have an outdoor area with food wagons and several of the exhibitors so when I got there they were in the process of relocating and finding a spot inside. From a brand point of view the objective is generally to raise the brand profile, introduce people to your product, give them a sample, and in most cases you can buy on the spot. There was also some models, lots of models, or should I say brand ambassadors, who were more most obliging with the offer of a free nip or two. There were some elaborate stands and bars set up to create a total experience whilst others were the more of a expo booth set up. It was still very hot inside, and there was free water stations about, but since everyone was offering nips of this or that to try one was never thirsty. So basically I made a bee-line for the Gins and it was fabulous to meet the guys from Four Pillars, West Winds, Melbourne Gin, Starward Whisky, Fever Tree Tonics and Kangaroo Island Spirits (pictured left is Jon) Heavy Water Vodka whom I’ve never met! Quite the who’s who of the Australian spirits scene. First business of the day was a much needed G+T and a quick catch up. I didn’t want to get in the way and be some fan boy, they were busy meeting new customers and offering nips or drinks (e.g. you could get a refreshing Four Pillars G+T for $5), but I was able to get some low down on upcoming products or sample some new releases. The vibe wasn’t cliquey, and on occasion I played the ‘oh, by the way I have a small blog about Australian spirits’ and it was nice to be recognised and thanked for my modest efforts (and Nathanael’s) in raising their profile. I was introduced about and I didn’t expect to need the business cards I did bring, so it became a real Schmooze fest. I now have a nice collection of industry connections including some good potential Canberra connections for events here! This is where it got complicated. The next thing I know I was offered all sorts of lovely things to drink. Now, I’m a professional and can handle my liquor but the combination of Gin, Tequila, various flavoured Vodka’s, organic energy drinks, Scotch, a Rum cocktail tested my match skills to a fair degree but I kept myself tidy at all times. But for the uninitiated this ready supply of nips of lots of good things could well be fatal to one’s constitution! You should never drink on an empty stomach, so there were several options on hand, I counted about 3 trucks, plus there was a cheese stand and a couple of other places to get food. The weather seemed to have made a mess of the organisers plans here, so the food wagons were positioned out the front (you had a wrist band so you could come and go) and inside the immense hall. Happily, as fans of Anthony Bourdain would understand, there was delicious mystery meats on sticks, and the queues were acceptable for some delicious eats at reasonable prices. Sorry foodies, no pics of the eats, I was a bit busy. One thing that didn’t quite come off was the speakers, the program was really interesting but the acoustics of the immense all with several hundred people, music from displays etc meant that it as very hard to hear what was going on even though they were tucked away in corners. But you can read about the range of speakers here. Announced at the event were the inaugural Australian spirit producers presented by the Royal Agricultural Society of Victoria (RASV). Twenty-eight exhibitors from across Australia entered more than 90 products, with five Champion Trophies and 41 medals awarded. The top accolade, Champion Trophy for Best Australian Distiller was won by Tasmania’s Lark Distillery, which also took home the Champion Whisky Trophy for its Lark Tasmanian Single Malt Whisky – Small Cask Strength, Whisky Aged, Sherry Cask, Cask No 412. 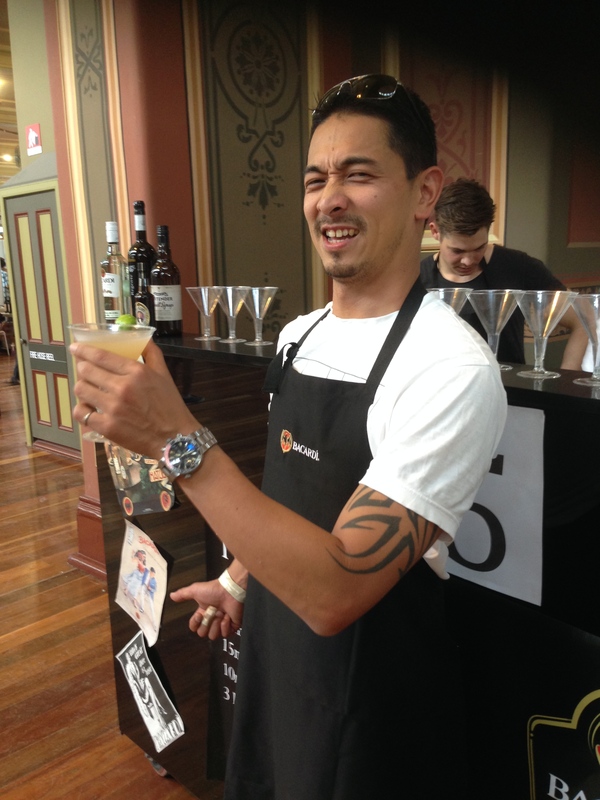 Champion Trophies were also awarded in the gin, rum and other spirits categories to The Tailor Made Spirits Company, WA, for West Winds Gin The Cutlass, Hoochery Distillery, WA, for its Ord River Rum – Over Proof and Wildbrumby, NSW for its Premium Pear William Schnapps. So after several hours of chatting and sipping (ensuring plenty of H2O) I was starting to flag, but just as you thought of heading for the door there was someone new to meet! I had a long chat to the distributors, the Nip of Courage and enjoyed in particular this Gin from Queensland (!) 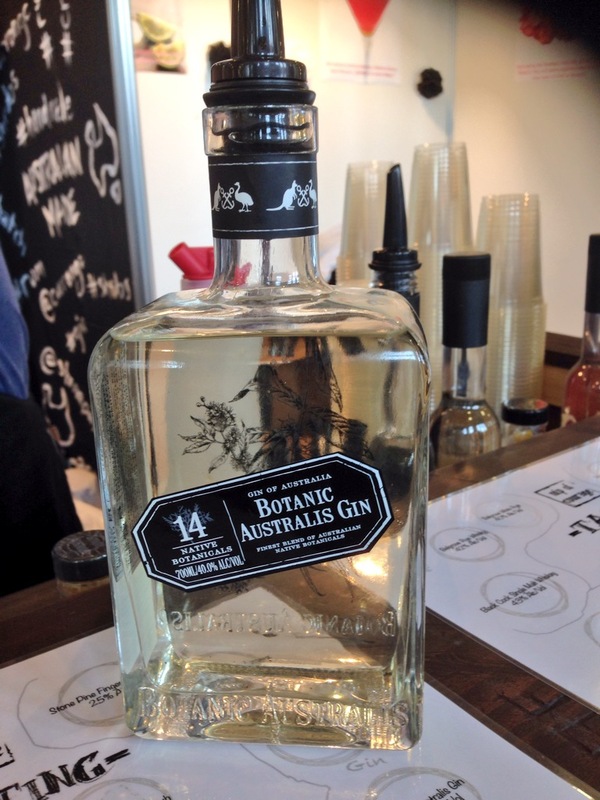 the Botanic Australis from Mt Uncle, which was soft and refined, with plenty of botanical notes, I’ll come back to this another time in depth, and we all agreed we’re living in something of a golden age of Gin and Australian spirits generally. 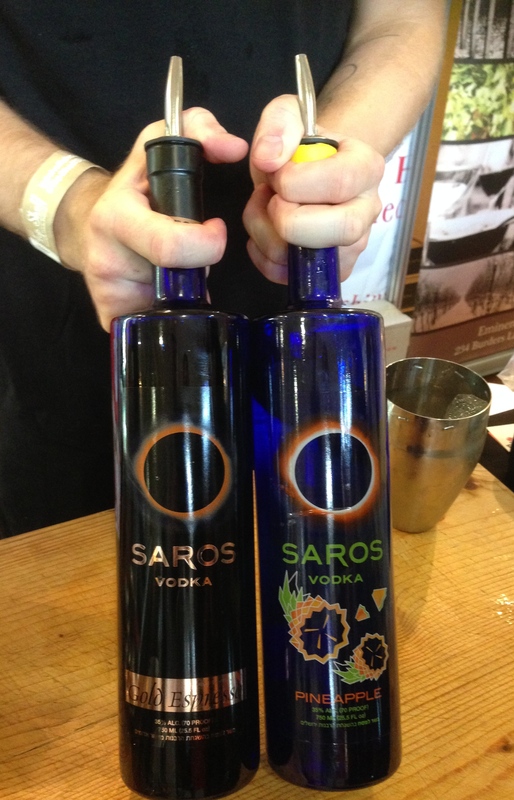 More adventuresome was a range of flavoured vodka’s from Ychilli in Melbourne. Excellent products all if you like your spirits bold. Being a small world I also bumped into two old Canberra mates, David Nguyen-Luu (ex owner of the fabulous Julep Lounge), now a cocktail and spirits globe trotter and old hippo hand Nathan, so that was fab and great to see they were both thriving. The next day was going to be a long one as I was going to be up early to spend some quality one on one time with Cameron from Four Pillars Gin at their distillery on the outskirts of Melbourne (the subject of a future post), so with some bottles of the good stuff in my bag it was time to go. It was great fun, much more so than I expected. You could easily spend a full day there with some careful management of food, water and rest (the heat didn’t help) but it was a great value experience for anyone keen to learn more about bars, spirits and related products. Cannot believe that I missed this.